Yuko's fascination with photography started at a young age with the functional beauty of her father's Rolleiflex. She was particularly moved by the world she saw in documentary style images of Magnum Photos. 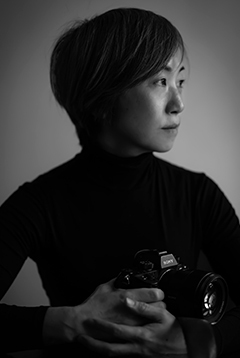 After graduating college and working for six years in a corporate environment, Yuko decided to follow her passion and move full time to photography. She experienced several years of studio work under contract to Konica Minolta and Sasaki Studio. Currently freelance, Yuko's focus is on portraiture and commercial photography for advertising and magazines. Naturally curious, Yuko loves travel and meeting people. She finds joy in taking photographs of roads less travelled - her favorite destinations to date include India, Vietnam, France, Hungary, Poland and the US. On weekends, she can be found exploring the natural beauty of her birth-town of Zushi in Kanagawa Prefecture, Japan. Copyright photographer yOU All Rights Reserved.